Rumors of the death of the print book were massively exaggerated, it turns out. According to the L.A. Times, 571 million print books were sold in 2015, 17 million more than in 2014. And ebooks, which had been forecast to hit 50 to 60 percent of book sales, were stuck around 25 percent. These two trends hopefully add up to one thing: healthier specialty bookstores. 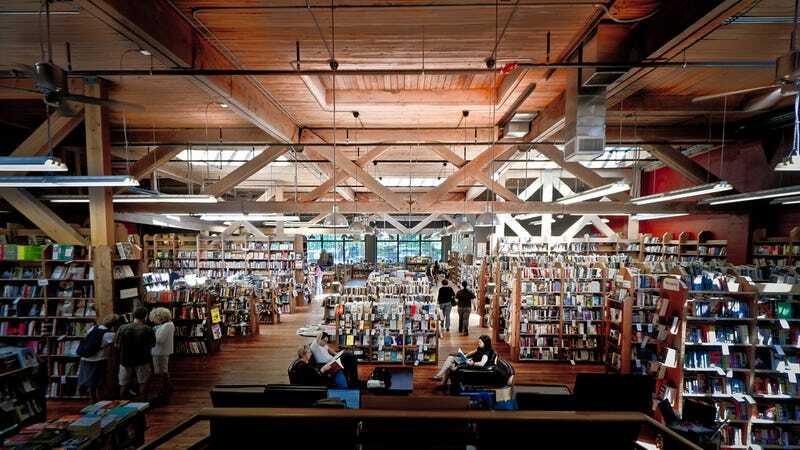 We’ve lost a lot of science fiction and fantasy bookstores in the past decade or so, but the ones that remain seem to be hanging in there remarkably well. Let’s hope that continues to be the case in 2016!